End of the Line presents a look at the creation of a 20m-long aerosol Tron: Legacy mural for an art installation in East London. I have a lot respect for Graffiti Artists, some of thing they create are mind bongoling, and now they created the Tron: Legacy Mural with the movie soundtrack playing in the background. 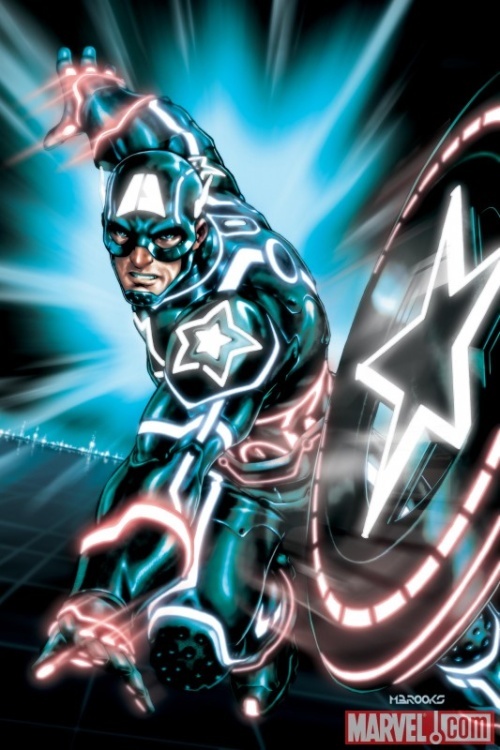 Say what you will about the film (I loved it), there’s no denying that it had some style. And that all comes to life with this mural. 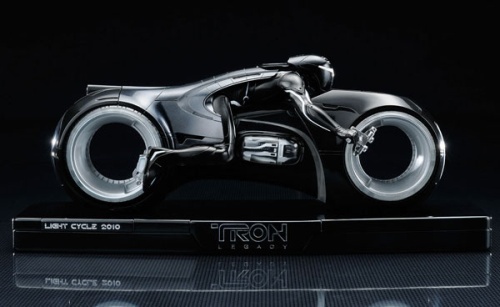 The first thing that they worked on when developing this movie is the Light Cycle, they made a point to modernize it and develop for this movie and I think its a beautiful piece of design and machinary. Its probably one of the cool things during the first part of the movie, and now its availble to sit on your shelf. 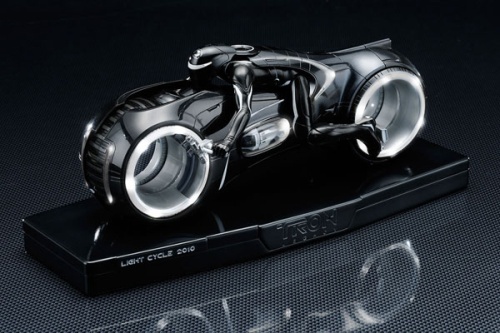 Its 25 centimeters long and looks amazing, the riders looks like a piece of the bike, a very nice piece to have for $270. Sam Flynn is the young man with a huge company to inherit which he wants nothing to do with, except to badger them and embarrass them whenever possible. Only to find a contact from his father’s old office, but his father has been missing for over a decade. 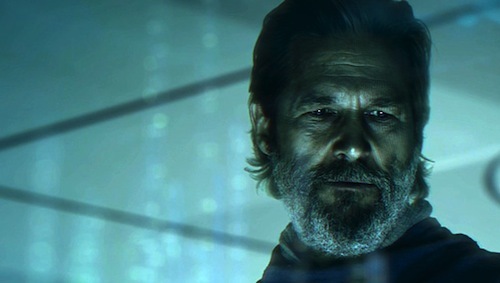 The story picks up some time after Jeff Bridges disappears into The Grid and being stuck there for a very long time, and his son stumbles into his digital world. This is one hell of a science fiction movie that I loved from beginning to end, I kept wanting more and the story was great, and the graphics of their world and how everything was related together through the lighting patterns. Jeff Bridges does an amazing job in this movie, and brought back memories when I remember see it on VHS in the 80s for the first time. If you are scifi fan then this movie is a must. 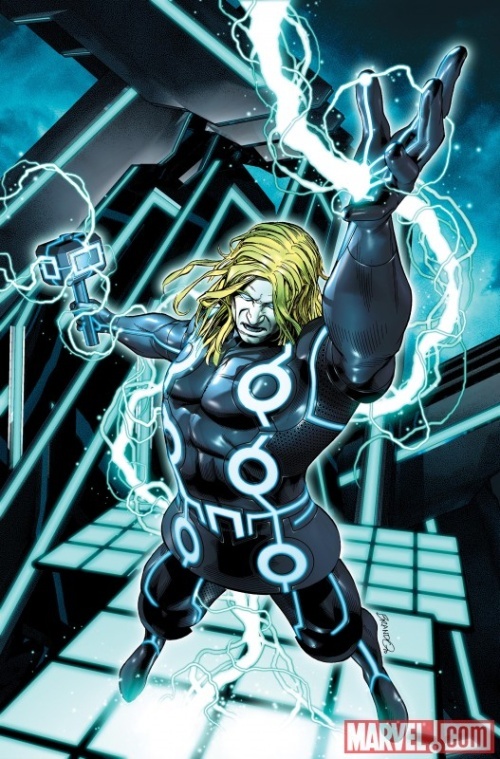 I’m a huge fan of Daft Punk and this is the new Music Video for Tron :Legacy. 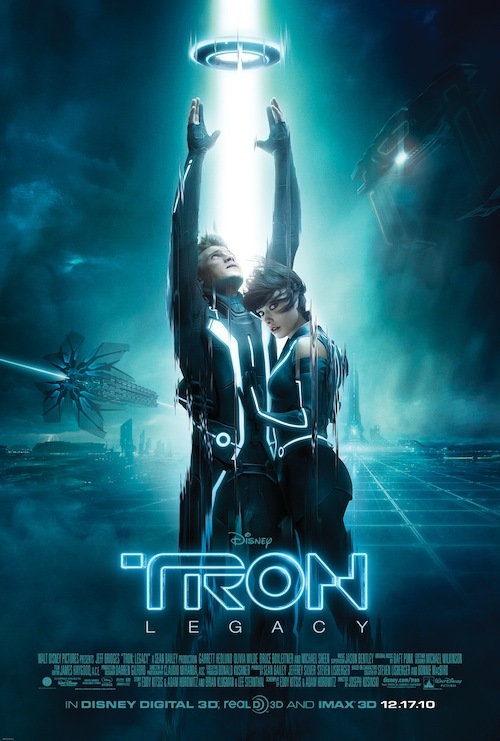 It seems that they have come up with all the music for Tron Legacy and I think its a perfect fit. 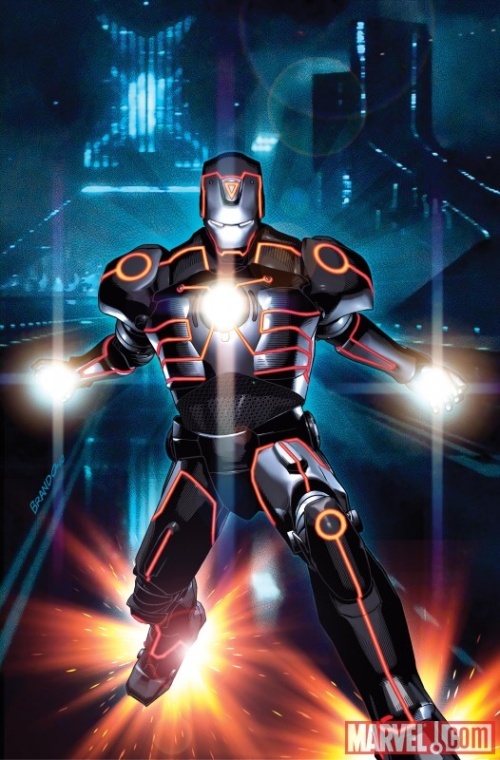 Nobody can make music for the world of Tron other then Daft Punk, and I’m curious to see the music in the whole upcoming album. I remembered watching this movie when I was kid and I didn’t understand it at all, I had to watch it again when I in the late 80s to understand how great a movie it was. At the time those computer graphics were insane but this time around I’m not sure what they have planned, I’m just looking forward to watching the sequel of this movie and I’m wondering whats the story line going to be like since it has to take a different angle, now we just have to wait to 2010 to watch it.